Lontor provides high-quality products, and have a high-quality team for product testing, to ensure that the products are well installed. With this novel design and high-quality LONTOR rechargeable standing fan, be sure to enjoy lasting daily comfort and convenience. Lontor products are famous for durable quality and a wide range of use. 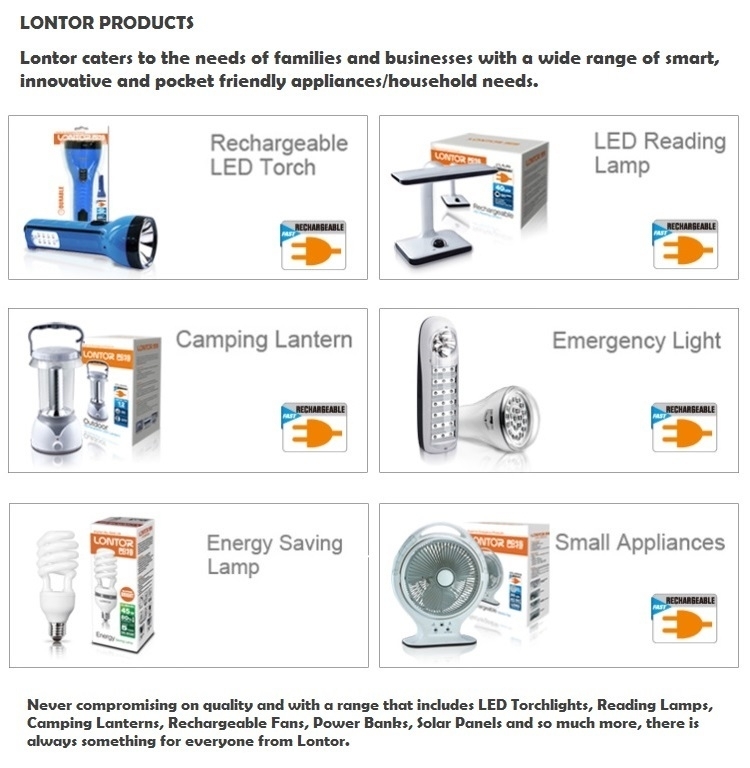 Lontor rechargeable products are long-lasting. Don’t be bugged by a power outage or insufficient and unstable power supply. This efficient and reliable Lontor rechargeable fan guarantees all-day comfort even from the comfort of your bed or sofa as a punch on its remote control guarantees hours of noiseless powerful performance. The five speed levels control allows you to get just the right temperature, especially when you’re using with children. The 0.5h timer also means that you can easily turn the fan off even while you’re asleep without having to get up.